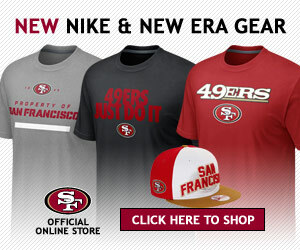 The 49ers new regime appears to know a good thing when they see it. After being released by the New England Patriots last November, the team signed pass rusher, Cassius Marsh to a contract. Marsh contributed as the LEO linebacker for the team as they were entering a stretch where they won five of their last seven games. He also played quite nicely on special teams as well. However, for a team that was desperately in need of more putting pressure on opposing quarterbacks, Marsh’s 11.9% pressure stat on his pass rushes, he was a welcome addition. Marsh was a fourth-round pick of the Seattle Seahawks in 2014 and has posted six-career sacks. Two of those sacks came as a member of the 49ers in only six-games, which tied him for third overall on the team. It seems apparent that the team wants to see what that number will equate to over a full 16-game season.